Condition of Cover: EX, in shrink, tiny DH in lower left corner area. Additional Information: Original. Mono. Tan label. EKL-4013. Comments: Classic Love, mono! Have any questions, please ask. 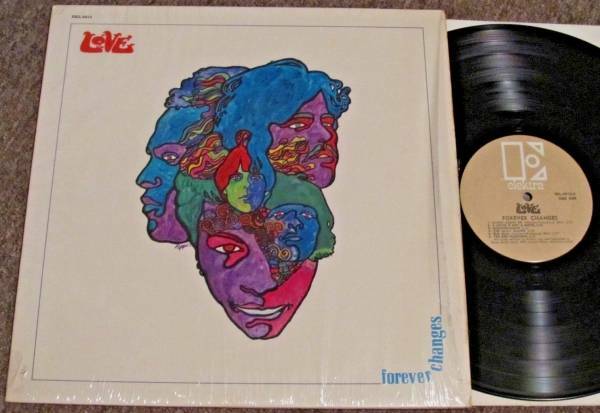 Please check out my HUGE PSYCH/PROG/FOLK/PRIVATE/GARAGE/AOR/RARE LP auctions! ALL RECORDS ARE PACKED PROFESSIONALLY IN RECORD MAILERS WITH RECORD OUTSIDE OF THE JACKET. I HAVE BEEN DEALING IN RECORDS FOR 15 YEARS, BID WITH CONFIDENCE! Check out my other auctions! Abbreviation List: WOL=writing on label, SS=seam split, NC=notch cut, CC=corner cut, IS=in shrink, WOC=writing on cover, DH=drill hole, RW=ringwear, EW=edgewear, SW=surface wear, CW=corner wear, DNAP=does not affect play, PH=punch hole. Shipping: Priority is $8-$13.50 depending upon location in the US (East Coast lower, West Coast higher. Preferred by seller) or $4 via media mail. For further info, please see my "About Me" page.